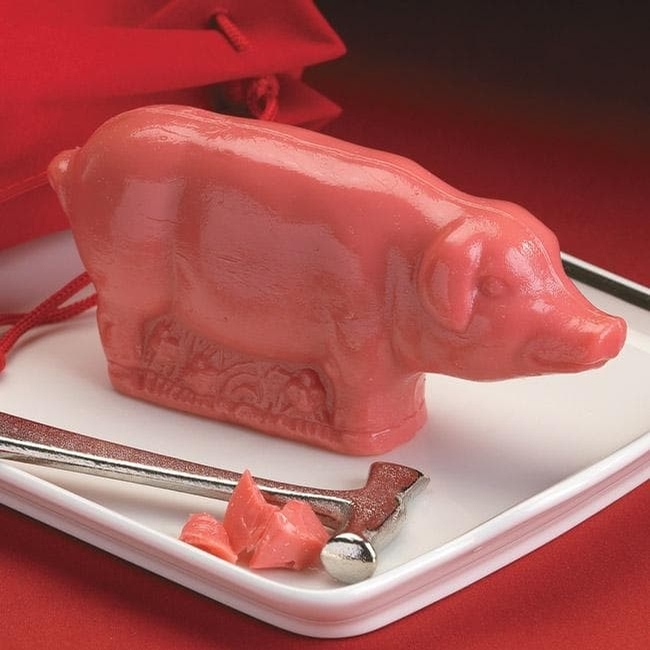 The Peppermint Pig made its debut in Saratoga Springs, NY in the 1800's, and this delightful confection is still made using the original recipe and all natural ingredients. Tradition holds that the pig is brought out at the end of the holiday meal, cracked with the hammer, then shared by everyone to portend good fortune for the coming year. Includes gift box complete with a special hammer and a red velvet pouch. 6"L. Weight 8 oz.